Skywalker Trampolines are the BEST! We love ours and it was worth the little bit extra. The quality and safety it provides my kids is really unparalleled. 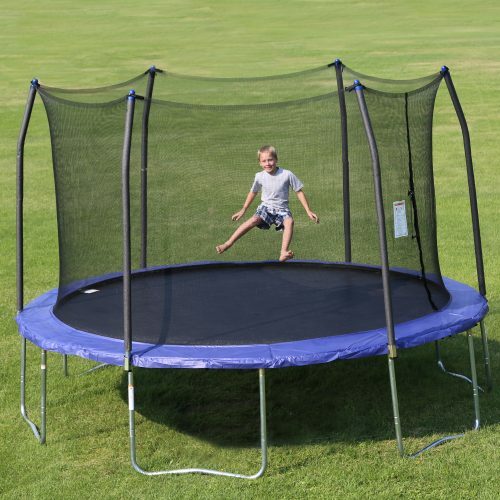 This is a great deal for this high-quality trampoline. The new Stay-Put safety enclosure net design attaches at each spring, eliminating gaps between the mat and net so you’re guaranteed not to fall off.